As the summer abruptly draws to a close in North Carolina, the dramatic effects of humidity and moisture in the Southeast can be clearly seen. Most of the Carolinas are classified as climate zones 3 and 4, which means that we have hot, often unbearably humid summers which quickly transform into cold, dry winters. This presents some unique challenges in high performance buildings as controlling moisture may be the biggest obstacle to maximizing occupant comfort and indoor air quality. Historically, ventilation occurred naturally through floors, walls, ceilings, fenestration, and more. Today we use controlled ventilation strategies to bring in fresh air and remove or dilute home contaminants. Homeowner education is also important to reduce habits that can contribute to moisture problems. Making appropriate design choices early in the project will help build homes which are comfortable, healthy and durable for many years to come. Bulk moisture intrusion – water enters the building as rain or plumbing leaks. Capillary – when building materials that come in contact with water wick or absorb moisture and transfer it indoors. Vapor – moisture is carried in the air, including through human activities such as cooking or showering. All of these mechanisms can cause the wetting of building materials and raise indoor humidity, which often leads to decreased occupant comfort and may create the conditions for mold and mildew growth. Since the symptoms of bulk and capillary moisture intrusion are more widely understood, let’s focus on the effect of moisture vapor or humidity in the homes we build. During hot humid summers in North Carolina, we will always be fighting to keep indoor humidity under control. In order to be successful air conditioning equipment must be sized to meet the load of that particular building and we need an effective ventilation strategy. In the beginning… houses were not built as tightly without access to modern construction and insulation products such as sheet goods. Ventilation occurred naturally through the floors, walls, ceilings, fenestration, you name it. This was the acceptable practice of the time because there was no air conditioning and fuel was cheap! Indoor humidity would rise and fall with the seasons and there were few concerns of condensation or wetting from water vapor in the air. This was justified by the old adage that a house needs to breathe, and breathe they did. Today we strive to build increasingly tight building envelopes to attain higher levels of occupant comfort, efficiency and durability. With consultation from third party energy experts and advanced building practices we are able to achieve these goals in stride. A tight building envelope performs extremely well to reduce heat gain in the summer and preventing unwanted air exchange. On the other hand when contaminants like particulate or water vapor become trapped inside the house, it can be difficult to get them back under control. 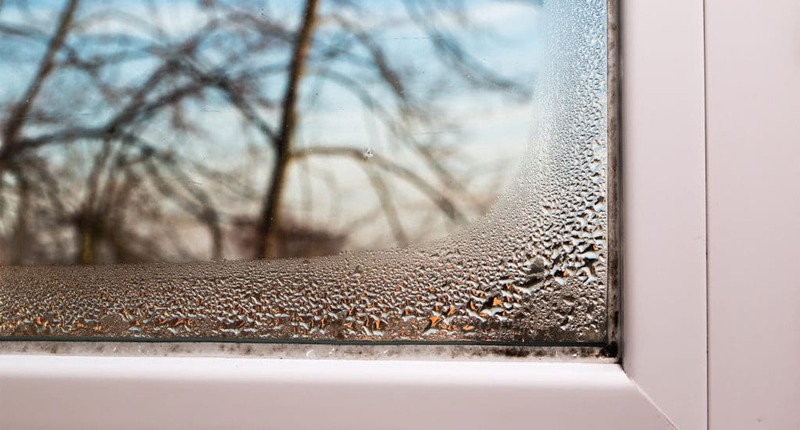 High indoor relative humidity and condensation on windows, walls and registers often lead to occupant complaints about the building’s performance. The old adage that houses need to breathe was not wrong, but it is not appropriate in today’s market where comfort and efficiency are premiums. Today we prefer “Build it tight, ventilate right”, acknowledging that there needs to be some controlled means of air exchange to bring in fresh air for the occupants as well as removing or at least diluting contaminants inside of the home. 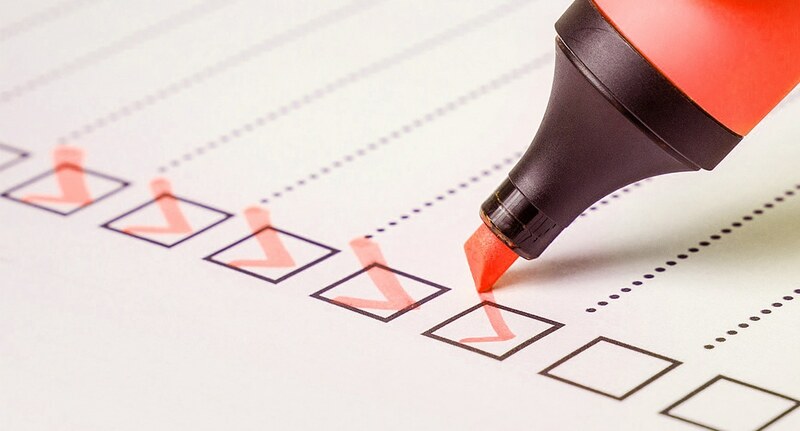 An appropriate ventilation strategy is an important choice that a builder must make to ensure that the home will perform to meet the owner’s expectations. Ventilation systems should be designed by a qualified HVAC contractor to meet the needs of the particular building. There are many choices that will meet the ventilation requirements of ASHRAE and various energy certificate programs. For a list of common ventilation strategies and more details see our blog post on ANSI 380 and What It Means For You. The final consideration for controlling indoor humidity is occupant habits. Bad habits or lack of homeowner education can contribute to an existing problem or create new ones. Our daily indoor activities add a lot of water vapor to the living space which must also be controlled. Here are some tips to minimize indoor moisture. Cooking and bathing generate large amounts of water vapor that should be exhausted, so the easiest thing that occupants can do is to make sure fans are in proper working order and running during these activities. Heating and cooling design values in the Southeast are generally 70°F for heating and 75°F for cooling. Don’t expect to set your thermostat to 68°F on the hottest day of the year without the potential for condensation. Leaving the HVAC fan in the “on” position allows continuous runtime which may come with a significant energy penalty and potential to draw in unwanted contaminants. This includes changing the filters! Proper air circulation and distribution is critical for top performance. Making appropriate design choices early in the project will help ensure homes are comfortable, healthy and durable for many years to come. 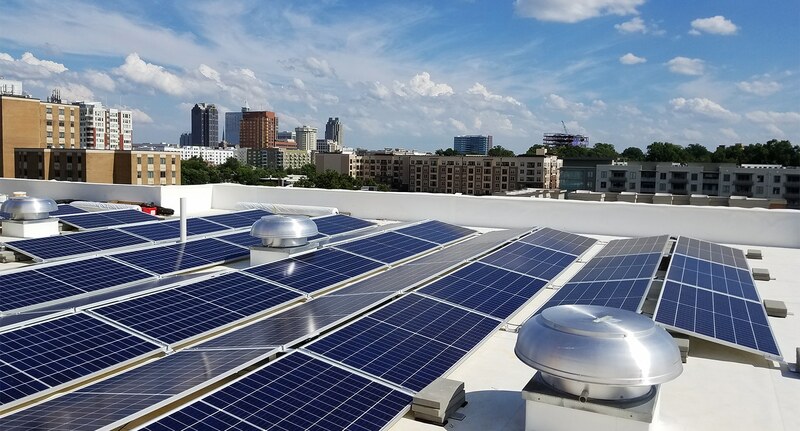 Proper ventilation and educating occupants on healthy living habits are a few ways to mitigate the indoor humidity problems we often see in North Carolina. HVAC sizing is also important to make sure that the selected equipment is capable of maintaining comfortable humidity levels. 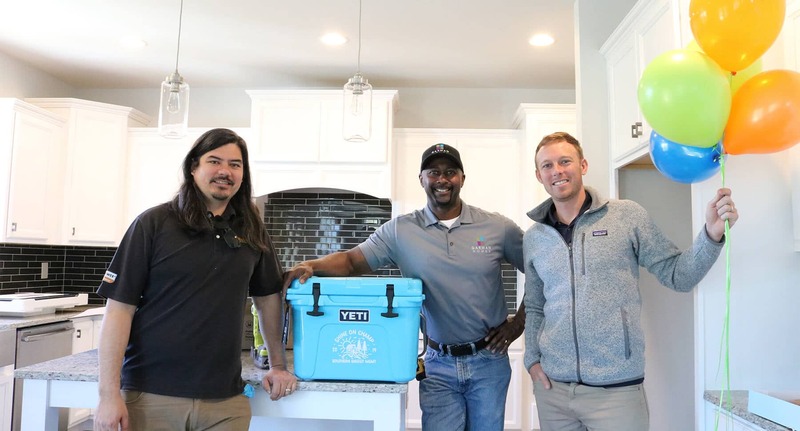 As experts in efficiency and building performance, we’re always excited to educate and help builders and homeowners get the most out of their homes. Let us know if you have questions on how to improve your ventilation strategy for a healthier and more comfortable home.